Secure, KVM over IP for remote server management. The Wizard IP DXS Gateways eliminate bottlenecks in server administration. 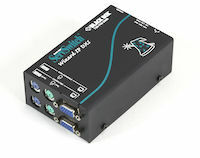 Connected to a single server, these small-form-factor IP engines provide system administrators with full non-blocking remote access from anywhere in the world. With them, you get full control of a connected CPU or server down to the BIOS level. 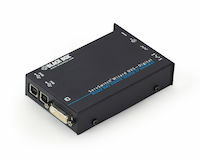 Remotely and securely access a computer with DVI-D video output over an IP network. Use an IP or a dialup link to access servers at high speeds!